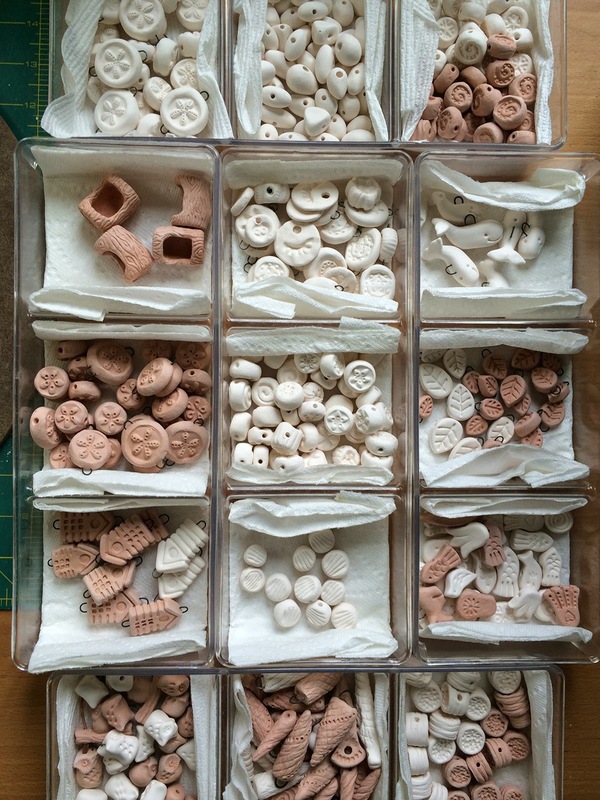 Just another in a continuing series of updates from Starry Road Studio.... Needless to say, I have been knee deep in clay, relishing with joy the ability to work in this medium again after a so long a time away while transitioning from KY to NY over the past year. Yes, that's right, it has been nearly a YEAR since I packed up and left KY to return to NY. Most of my studio has been packed up in storage and only in recent weeks have I begun the slow process of getting everything set up here. I was dying to get my pottery wheel set up and thankfully I managed to throw a few pots this past week. I still have to get my spray booth set up for glazing, but for now I'll use some dipping glazes for these pots. I am continuing to explore beads, creating a variety of new forms and ideas. 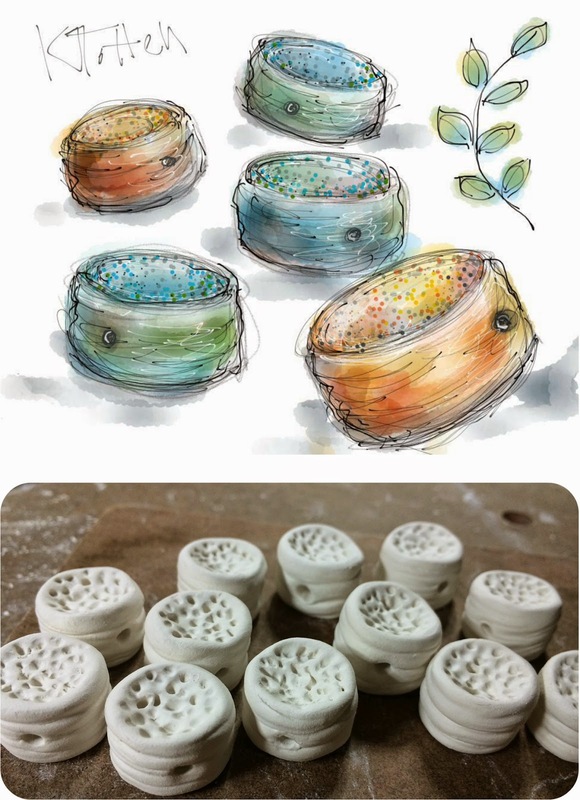 Continuing in my series of woodland-themed beads, I finally got started on a new design for "Camping Beads", based on sketches from late last summer. I blogged about it here. I plan to explore these textures in pottery. I can't wait! 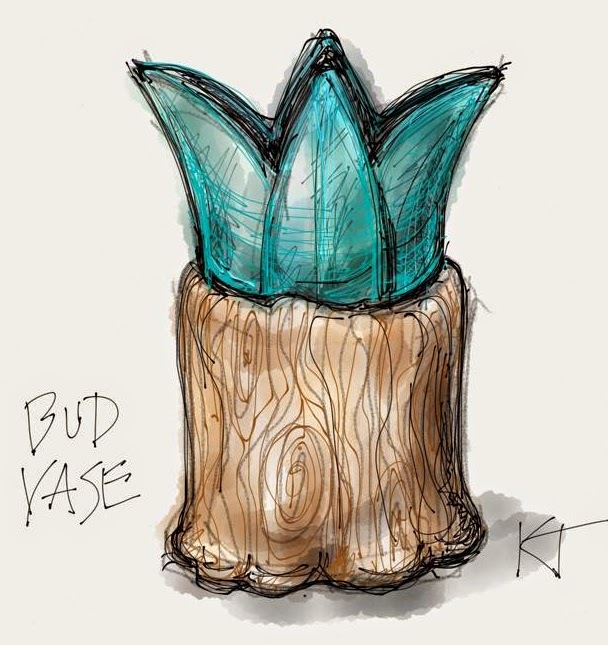 Here's an idea with a sort of plant form growing out of a "tree" base. I will throw this in porcelain and sculpt it after. I'll post pictures when I get around to it. 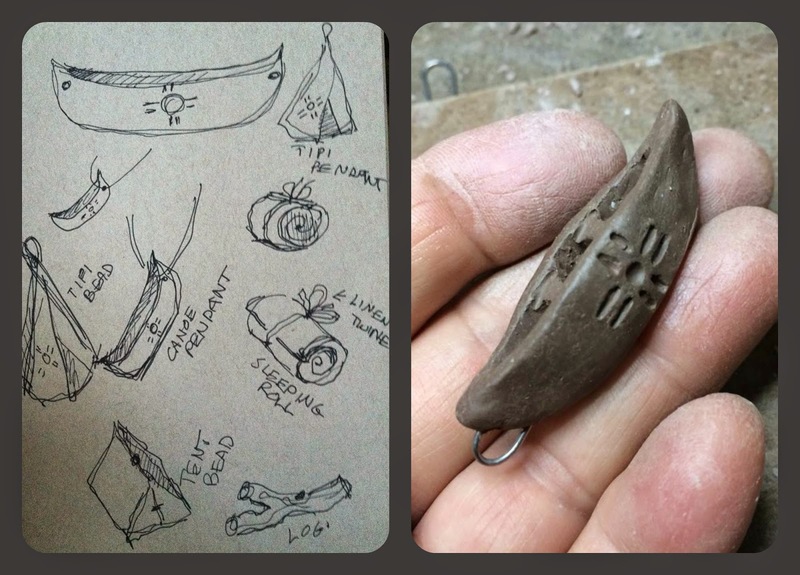 And perhaps it will inform new designs for beads too. Stay tuned! People want to buy best products then there will be no issue by using these. We can find best products from A-Able and they have guaranteed Crazy Clay products. It seems that writing service uk also like those Crazy Clay products we can also buy hot water system without any problem.